Outgoing Microsoft CEO Steve Ballmer recently sat down with ZDNet's Mary Jo Foley, via Fortune, for an exit interview of sorts, a final farewell. In it, Ballmer discusses his tenure as CEO, how he managed to double profits and triple revenues, and the role he played in Microsoft's Xbox division, which he said was his decision. It's a legacy of excitable press events, mobile struggles and marketing blunders, but Ballmer ultimately looks back at his time with the company as a huge success. In particular, Ballmer is proud that Microsoft "made more money than almost anybody on the planet," over the last 13 years, though he does admit Apple has made more during the immediate past. Foley's interview reveals Ballmer's loud and outgoing personality helped secure a lot of deals early on in his career, and even assisted in settling many lawsuits—in the hundreds—Microsoft faced. One in particular includes an antitrust complaint brought against Microsoft back in 1998 by the U.S. government and 20 states, which Ballmer settled almost immediately after replacing Bill Gates. Also revealed in the interview is how the Xbox might not have happened. Ballmer was skeptical about entering Microsoft into the gaming market, despite Bill Gates' approval, but eventually decided to take the chance. The Xbox division has largely been a losing endeavor for Microsoft, especially with the Red Ring of Death that plagued the Xbox 360. $1 billion was supposedly lost when fixing the issue, but the consumer mindshare more than made up for it. It also paved the way for the Xbox One, which is Microsoft's way of bossing your living room. "It is easy to bemoan billions spent on Xbox," former Microsoft strategist Charles Fitzgerald said, "but when you look at it as a hedge to keep Sony or any game console from undermining the Windows PC, it is chump change compared to the hundreds of billions in Windows profits banked during that time." With Windows 8, Windows Phone 8 and Windows RT all struggling to make significant headway, questions still remain about Microsoft's future. The company will survive, no doubt, but is it currently in a worse position than it was before Ballmer took over? Not even close, Baller said. "I do think we're far more focused than we were when I took over," Ballmer said. "And that's partly a function of the time. We've gone from being a complete leader to a leader and a challenger, both in the same body." 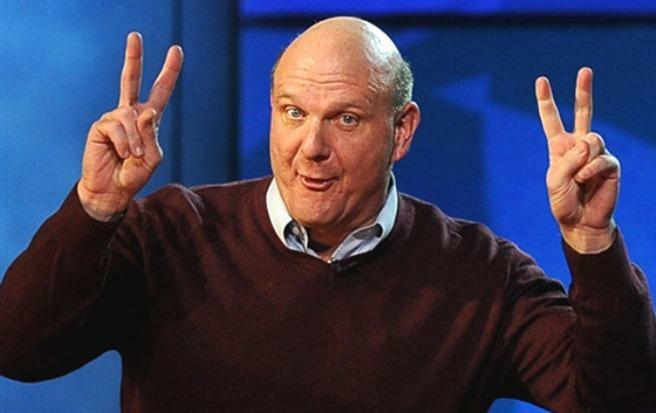 With the Steve Ballmer chapter coming to a close, will the next CEO be able to keep that focus? In any case, it'll definitely be difficult for whomever takes the helm to match Ballmer's energy.